Can We Ever Really Be Prepared for an Inclusive Classroom? Forlin and Chambers (2001), explore the question about whether pre-service teachers are prepared to confidently work in inclusive classrooms. Further research was required to see if applied experiences impacted the preparedness of pre-service teachers for inclusive education. This study explores the use of applied experiences by providing the option to engage with people with disabilities during a course that was designed to prepare teachers for inclusion. Pre-service teachers reported on their sentiments, attitudes, and concerns towards inclusion to measure the impact. The participants consisted of 67 pre-service teachers taken from the first three years of a four year education undergraduate program in a university in Western Australia. There were only 2 males and 93% were 29 years or younger. Of all participants, 49% said they had no previous training in the area of special needs and 79% had prior teaching experience. 55% of participants indicated that they had already had interactions with people with a disability. The participants were offered a course as an elective that consisted of 39 hours of face-to-face training that took place over 13 weeks. The curriculum delves into principles and practices of inclusive education in order for pre-service teachers to explore their own attitudes and beliefs about inclusion. Pre-service teachers had to make a choice between two options. Option 1 involved a voluntary social experience in which the pre-service teacher interacts with a person with a disability for 10 hours; 17 individuals chose this options. Option 2 consisted of pre-service teachers locating inclusive programs within their communities in order to critique them; 50 individuals chose this option. Data was collected both prior to and following the unit study in order to compare perceptions before and after the study. The Sentiments, Attitudes, and Concerns about Inclusive Education Scale (SACIE)was used to measure pre-service teachers’ perceptions on preparedness for inclusion. This scale had 15 items and used a 4-point Likert measure in order to analyze sentiments, attitudes, and concerns for preparedness of inclusive education. 7 of 15 items focused on attitudes towards students with different educational needs; 6 of 15 items focused on concerns about inclusive education; and 2 items focused on sentiments when interacting with people with disabilities. A Total Scale Testwas then calculated in order to examine the overview of perceptions. Additionally, a 6-point scale was used to determine level of confidence in teaching students with special learning needs and knowledge on disability legislation. Results state that following the study, pre-service teachers had a more positive attitude towards students who have mild support needs; however, were least supportive and positive towards students who were physically aggressive. The level of concern that pre-service teachers had slightly increased after the course. Individuals demonstrated more concern about having enough knowledge and skill base, providing appropriate attention to students, an increase in workload, as well as, inadequate resources and lack of support staff. Those who partook in the social experience in which they interacted with a person with a disability reported being more concerned about preparedness after the course than those who did not interact with a person with a disability. Individuals who expressed a more positive attitude had more confidence and vice versa. Pre-service teachers indicated more knowledge about legislation related to teaching students with disabilities. Concerns varied depending on knowledge; following the course, pre-service teachers continued to express concern when they felt they did not have much knowledge about legislation regarding inclusion. An unexpected outcome of the study was that those who engaged with people with a disability did not gain in positive attitudes after the applied experience. Following the course, pre-service teachers expressed more concern about being stressed when having students with disabilities in their class than prior to the study. The authors concluded that it may be possible that pre-service teachers’ confidence may raise once they gain more knowledge about responsibilities when teaching students with disabilities. Individuals must be taught the skills and strategies that will facilitate them to teach inclusivity without raising their stress levels. While first-hand experiences raised awareness of needs, it did not lessen stress, concern, or increase positive attitudes. In order to help establish a smooth transition from undergraduate teacher preparation to becoming a trained inclusive teacher, universities need to collaborate with educational systems. In hopes to provide full support to pre-service teachers, absolute commitment from educational systems to mentoring new teachers and providing appropriate professional learning is required. Some training could be done to help ease and address these issues, however, there are restraints on what these classes can offer pre-service teachers. The study conducted was well-designed and implemented accurate representations of sentiments, attitudes, and concerns that pre-service teachers may have towards inclusive education. Although the title does in fact relate to what the authors are saying within the article, there is no actual research question provided in the study. The study adequately used pre-service teachers varying from both early childhood education and primary education giving a broad spectrum of experience. The fact that pre-service teachers were taken from the first three years of their four-year undergraduate degree in education is crucial seeing as they are just beginning to gain their experience. 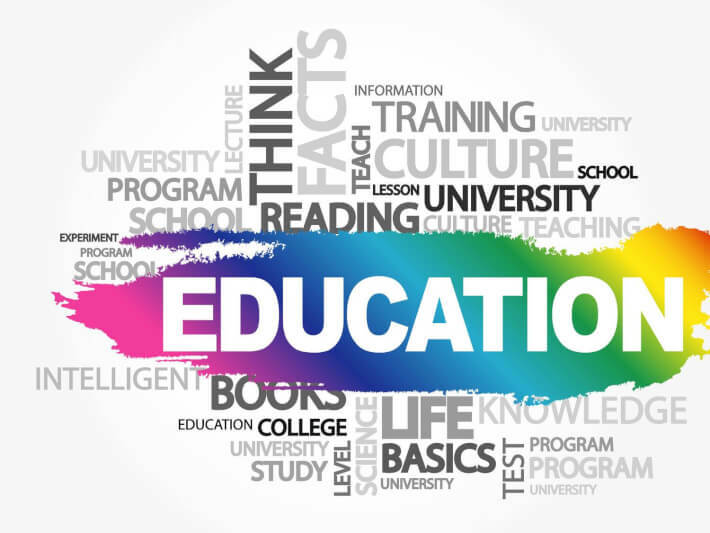 Having them at the start of their undergraduate degrees allows them to learn from the study and perhaps use inclusive education for their future curriculums. Although the features mentioned are a fundamental part of the study, having more participants in general from different locations would be an improvement to the study. Additionally, having an equal amount of early childhood education and primary education teachers would make the study unbiased. The steps followed to collect proper data are not up to par. Due to small cell sizes in some categories such a gender and age, they were actually rejected as part of the data collected which in turn holds the data collected as unreliable. More participants of both genders and of higher ages especially above 29 years of age might change the results of the data collected and perhaps make a greater impact in the study. That being said, the data that was provided in relation to attitudes and concerns was sufficient. However, in order to make this information generally more reliable, it would require a larger variety of participants in terms of age and gender. At the completion of the study, it was found that pre-service teachers were more positive towards involving students who have mild support needs, however there was less support with students who require higher needs. In relation to the main idea of the research conducted, these results are negative seeing as it shows that pre-service teachers are not fully ready to take on inclusive education. In terms of the pre-service teachers’ concerns, they showed a minor increase across all aspects but showed an even greater increase of stress when it came to including students with disabilities. Results were obtained on the levels of confidence and knowledge of pre-service teachers. As a result of the study taken place, the participants’ in confidence and knowledge had increased, but only slightly. The slight increase of confidence in their ability to teach students with special learning needs and their knowledge concerning inclusion is a positive step towards the main idea of the study. Finally, what the study has shown is that pre-service teachers require skills and strategies to incorporate inclusively in their classrooms and doing so would take a lot of training in order to attain without any levels of stress. Recently, Pre-service teachers have been more aware of the need for providing applied experiences with people with disabilities; however, this awareness has just resulted in heightened concerns. Not providing pre-service teachers with the knowledge and skills to overcome concerns with inclusive education is unjust. The importance of this article in regard to education is that it highlights the current trend of students with disabilities being placed in general education classrooms. These general education classrooms are being led by teachers who do not feel fully qualified or prepared to provide all students with the individualized support that they need and deserve. This research supports the fact that there is a lack of pre-service teacher training courses that provide teachers with the appropriate knowledge, tools, and resources needed in order to improve their overall readiness, attitudes, and sentiments towards teaching in inclusive classrooms. The research suggests that we must go beyond providing pre-service teachers with further training. In order to ensure long-term support for teachers and appropriate professional learning, collaboration must take place between universities and educational systems in order to permit a cohesive transition from undergraduate teacher programs to becoming a competent and effectively trained inclusive teacher. This article brings forth the fact that not all students are receiving the individualized support that they need due to the lack of pre-service teacher training for inclusive classrooms. Students with disabilities should be able to enjoy all benefits of inclusion, and that comprises a teacher who is competently and effectively trained for inclusion. The students are the reason why we must solve these issues. The results from this research article bring forward potential ways of increasing pre-service teachers’ readiness levels for teaching students with diverse needs in an inclusive classroom setting. As pre-service teachers gain more exposure and experience working with students with disabilities, the greater their knowledge base will be; in turn, increasing positive attitudes towards inclusion and decreasing potential concerns. Given what we have explored in this research article, we believe that our peers and university program should consider increasing our opportunities to work alongside students with different disabilities. With greater engagement with children with diverse needs, pre-service teachers can build a greater understanding of what teachers need to do in the classroom in order to accommodate these students. With that being said, the results from this research show that with an increase in experience with diverse children, the more stressed pre-service teachers become. A further research idea could be to try to uncover different ways to decrease stress-levels in pre-service and new teachers in order to better prepare them for what awaits in their future classrooms.